When it comes to picking the right college, you’ve heard it all: look for small class sizes, modern facilities and the right college population to fit your personality. However, with a dancer’s unique talents comes the need for an equally distinctive education. So put onyour thinking caps, lace up your dancing shoes and open your eyes to a few of the lesser known collegiate clues that can help you reach your perfect educational choice. As muses of dance, your educational needs are very different from those of your less movement-minded classmates. Your best tool is to recognize those desires are and decide how you want to cultivate them, whether through a BFA (Bachelor of Fine Arts) or a BA (Bachelor of the Arts) degree. 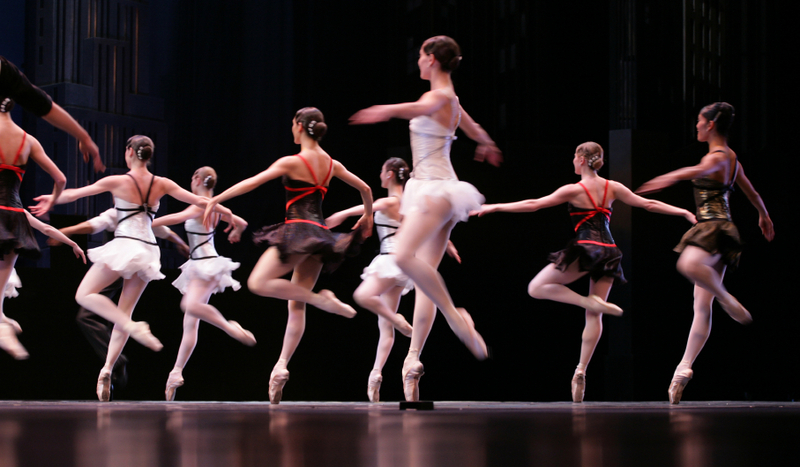 A BFA is best suited for dancers who know exactly where they want their dancing shoes to take them. This program requires more credit hours than a BA and is more structured and training-intensive. A BFA doesn’t leave much room to explore other avenues of study outside of your dance focus and is targeted at dancers aiming to turn their art into their profession. Don’t let the stern tone of this degree fool you into thinking that a BFA will limit your career opportunities; dancers earning this degree can go on to teach, choreograph, get their MFA (Master of Fine Arts) degree and, of course, dance professionally. Like a BFA, a BA is a precursor to a MFA. However, a BA is aimed at students who may not be ready to make the commitment that a BFA requires. A Bachelor of the Arts degree allows students more flexibility in their class schedules. It is aimed at dancers who want to pursue additional majors or minors or who desire a more well-rounded college experience. Keep in mind that while many colleges have both BFA and BA programs, some may only offer one or the other or may not have a degree program in dance at all. For extra credit, find out if your college is a member of the National Association of Schools of Dance (NASD) or if any of the instructors have been DMA (Dance Masters of America) or DEA (Dance Educators of America) certified. These organizations are independent firms ensuring quality and excellence in dance education, and the NASD is recognized by the United States Department of Education. Although they may look like innocuous blocks of text, a school’s mission statement can tell a lot about its underlying philosophies. For example, the University of Michigan’s Department of Dance “draws upon the legacies of 20th century American modern dance and ballet, embracing the abundant theoretical, historical, and interdisciplinary resources available on campus and in the community,” whereas the Denison University Dance Department aims “to physically challenge students in several movement experiences ranging from traditional dance…to modern dance…to contemporary.” In short, mission statements can reveal the very different artistic objectives held by different colleges. Marshall Anderson, chair of the Theater and Dance Department at the University of Wisconsin – Whitewater, recognizes that “most, if not all, prospective students never look at a department’s mission statement and don’t even know that one exists!” Knowing what a school has in mind for you can help you decide if you want to invest in its particular brand of song and dance. Picking a college dance program is one of those rare choices where you can test-drive your decision! Through summer workshops, you can get the classroom experience without the collegiate commitment. Participating in these seminars gives you a well seasoned taste of a school’s teaching methods, instructors and class structure. If the schools you are most interested in don’t offer summer workshops, touring the facilities and speaking with instructors are great ways to “test the waters,” Anderson says. He also suggests meeting teachers, sitting in on classes, and speaking to current students: “[College] websites are nice, but don’t tell the whole story – a personal visit is a must.”As dancers, you know that preparation is key, and this guideline applies to your perfect performance on not only the theatrical, but also the collegiate stage.